As you may be aware of, I haven’t written a real blogpost recently. I was super busy at work in the past month. No surprise. There are moments Excel won’t help me much at work, especially when bosses like PowerPoint (and PDF) more than Excel. You know what I mean! Nevertheless, because of the tight schedule and heavy workloads, I did actually spend more time in exploring the Power Query, which is simply POWERFUL. To be honest, I am just a beginner in using Power Query. And what I used are mainly the most basic functions from the ribbon tabs (Home, Transform, Add column) of the Query Editor. But you know what, it helps a lot already. 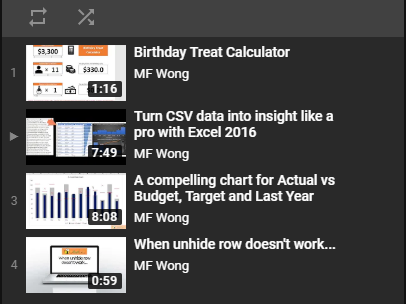 And it is indeed quite intuitive to an experienced Excel user. What I really like about Power Query? Merge tables (queries) together before you start your analysis via Pivot Table – A total WIN vs. traditional VLOOKUP as it makes multiple-values lookup become a super simple task. Unpivot columns – does it sound a common but time consuming task to you? Whatever you did, it’s recorded and refreshable!! It means once you have set it up right, all the repetitive tasks for updating the report can be done with a simple Refresh. Where to get the Power Query? Want to learn more about Power Query? 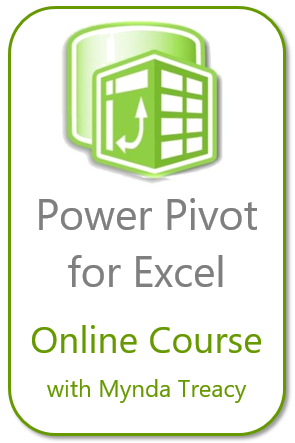 Mynda Treacy of myOnlineTraininghub has a very detailed post on what Excel Power Query is about, together with a short demonstration, and related training courses. Recently I came across an interesting virtual lab which takes you through the fundamentals of Get and Transform. You need a Microsoft account to log in. It is a Remote Desktop connection (I believe). You don’t even need to have Excel installed in your computer to experience it. You can do it even on Mac, as long as you have internet connection and your machine meets the system requirement. A suggestion for improvement is the layout of the panes. Currently, the description of each task is sitting at the bottom of the screen, when you click a task. Would it be better and easier to follow through if it appears right below the task clicked on the right pane? It’s more than just Excel. Check it out when you have time. This entry was posted in General and tagged Power Query, Training. Bookmark the permalink.